When I came across Fugetsu-Do online, I knew immediately that I wanted to go there. 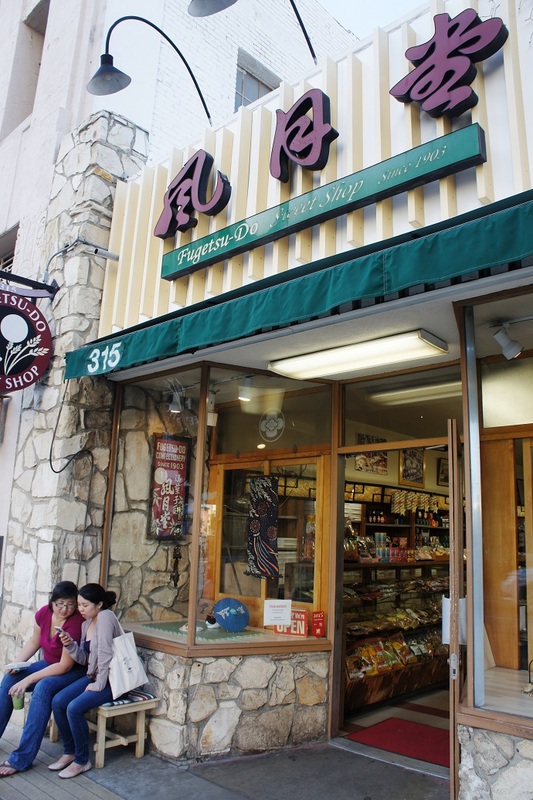 A sweet shop existing in LA’s Little Tokyo since 1903? You have to assume they’re good at what they do. The shop is not hard to find, but feels like a time capsule from another era, with wood panelling and a glass case for the different sweets. 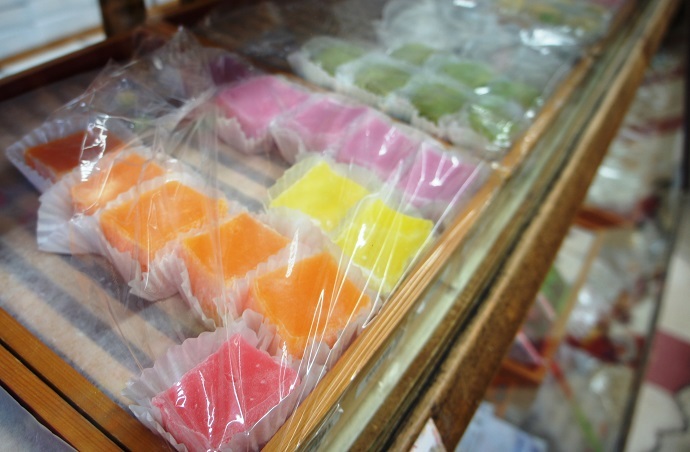 The treats themselves were a journey in texture, from the unbelievably soft mochi exterior to the slightly grainier fillings. 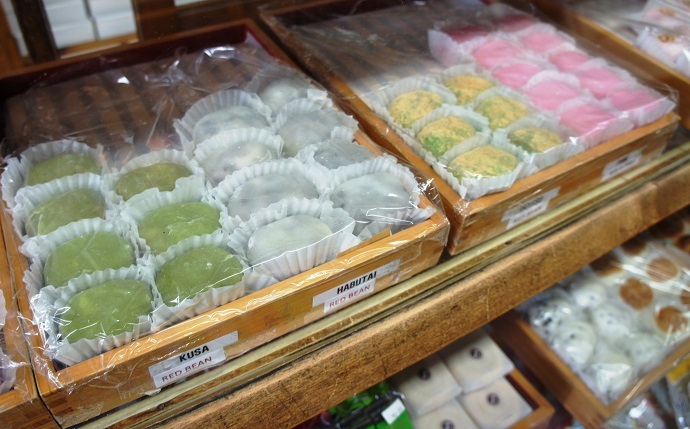 The uguisu (the green one in the top left corner) was coated in a soy bean flour that provided a nice contrast to the softer exterior, while the imo mochi (the one that looks like a sweet potato) was drier than the rest, not a bad contrast. The only problem was that I had trouble distinguishing the flavours, thanks to the overwhelming sweetness of the fillings. I could barely taste the variation in either the chocolate or the strawberry (along the bottom), and soon gave up trying, choosing instead to enjoy the fantastic texture. I suspect we would have done better to have the mochi with a drink, to cut the sweetness a little bit. Next time I’m in LA, I’ll take them home and eat them with tea. 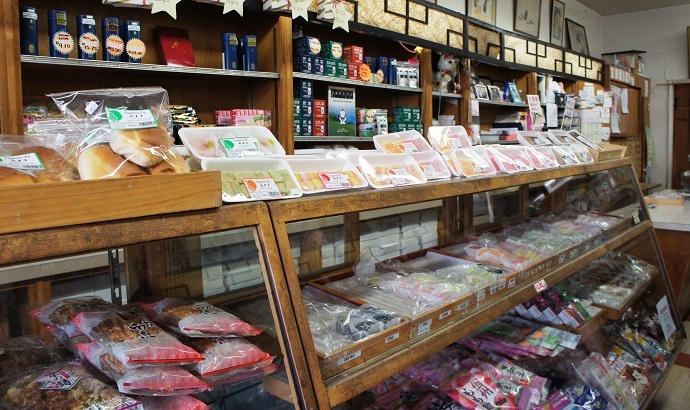 Regardless, Fugetsu-Do is worth a visit for the shop alone.